Earlier this year I noticed a couple of age spot, sunspots, whatever you want to call them, showing up on my face. 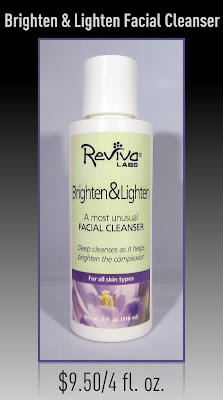 Reviva Labs is my go-to skin care product line because I've had good luck with their products, they're reasonably priced, and they seem to have a product for just about every skin care problem that exists. I used their Brighten & Lighten Facial Cleanser during the entire month of August with good results. I wanted to wait until I'd stopped using it for a couple of weeks before I posted my review to see if I noticed a change in the spots that it seemed to lighten. The spots didn't disappear, but they did look about 40% lighter after two weeks, and I wasn't noticing them nearly as much as I had been. They remained at that level through the month of August. 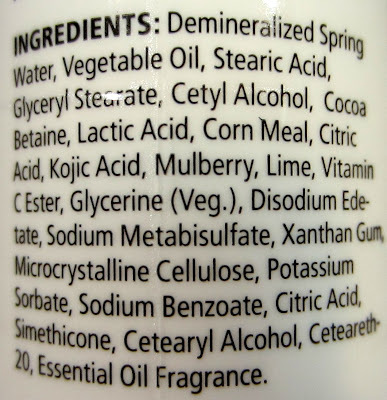 I began using another facial wash September 1 (Shea Terra Organics), and last week I started to notice those pesky spots again. So while this product didn't entirely alleviate the issue, I would have to say that it certainly diminshed the pigmentation of the spots. This product didn't lighten my skin, which I was slightly concerned about based on the "Brighten & Lighten" name, but it did lighten the spots. The formula itself is a thick white cream that has a pleasant light lilac scent. It doesn't foam or lather at all, but it seemed to do a very good job cleansing my skin and removing all traces of dirt, make up, and mascara. It's very rich, and it almost feels like it not entirely rinsed off because it's so moisturizing. I didn't have any problems associated with it though, such as clogged pores, breakouts, or oily skin. It also provides gentle exfoliation for your skin with lactic acid and cornmeal. My skin tone seemed more evened out, because it lightens discolorations/dark areas, including under eye circles. It is different in the respect that it doesn't lather and the formula feels more like a moisturizer than a cleanser, but it definitely seemed to do what it claims to do. As with all Reviva Labs products, they do not test on animals, their products are made in the U.S.A., and they use all natural ingredients. 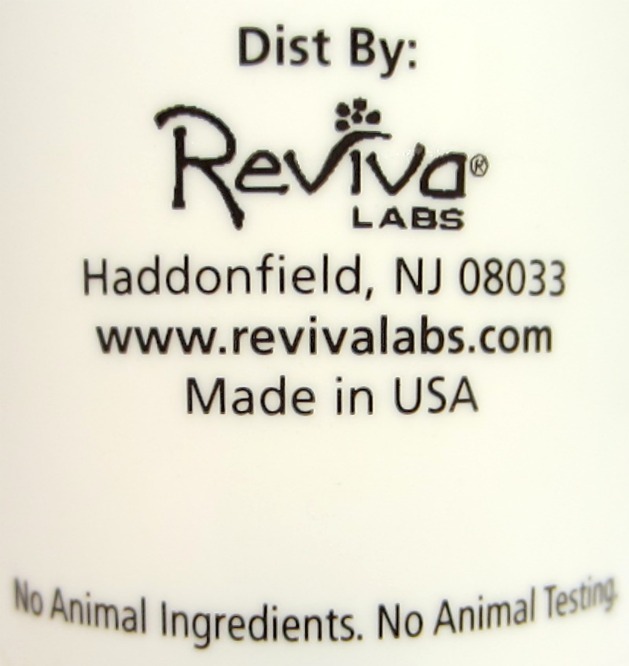 You can find Reviva Labs producst on their web site, Amazon.com, Ulta, GNC, and in many health food stores. 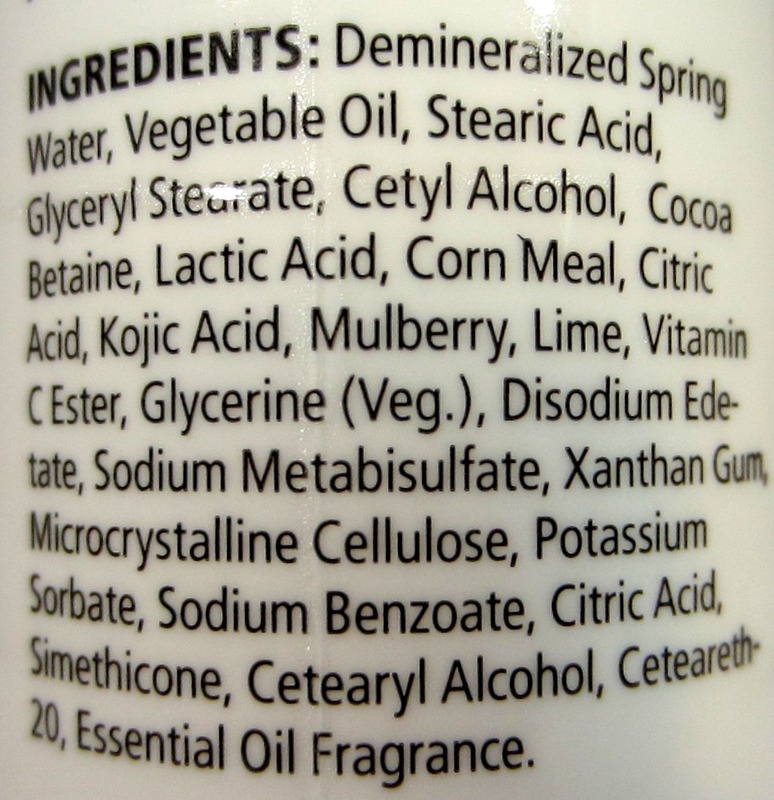 This seems like a good cleanser I'll have to look into what other types they offer. Thanks for the great review! Wow your new blog design looks just great, love it! Very clean and classy. Thanks for the Reviva reviews, I enjoy reading them.